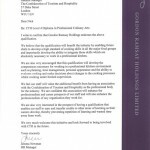 The CTH Diploma in Professional Culinary Arts has been carefully developed in partnership with Gordon Ramsay's Tante Marie Culinary Academy to provide students with an excellent advanced set of skills in food preparation in a professional environment - a perfect first step to a rewarding culinary career. The assessment methodology for Menu Planning & Costings, Self-Management in the Professional kitchen and Nutrition, allergens and sustainability is by project/assignment. All other units by practical examination. 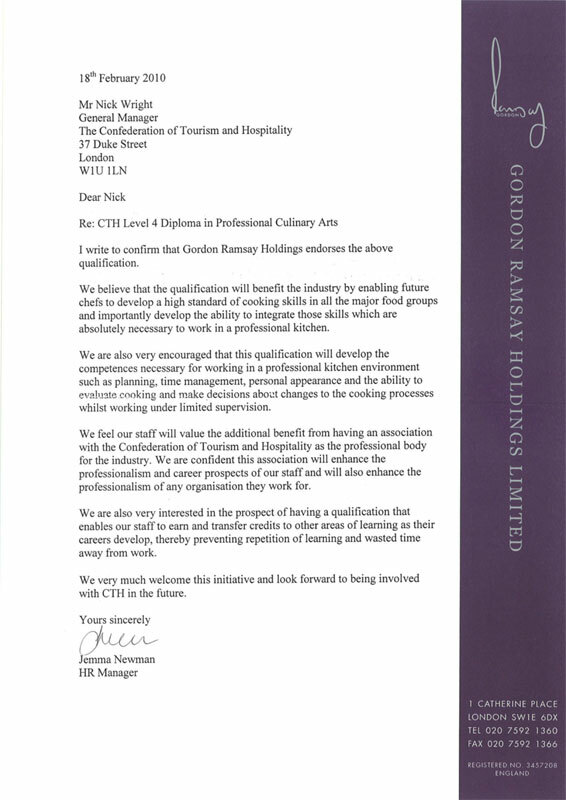 If you do not hold a recognised professional cookery qualification equivalent to a UK Level 3 Diploma, CTH will need to consider your work experience when deciding on your application. Applicants with no formal culinary qualifications can be accepted on the basis of 5 years suitable work experience and a minimum age of 23 on enrolment. Students must have sufficient English to complete their written assessments for this qualification. Students without evidence of English fluency may need to take the CTH English Placement test. This Level 4 Diploma in Professional Culinary Arts is regulated by People First, the Sector Skills Council and Ofqual and carries 84 credits within the government’s Qualifications Credit Framework. This enables students to gain credit towards any future qualifications they may wish to take, be they at university or CTH accredited colleges around the world. 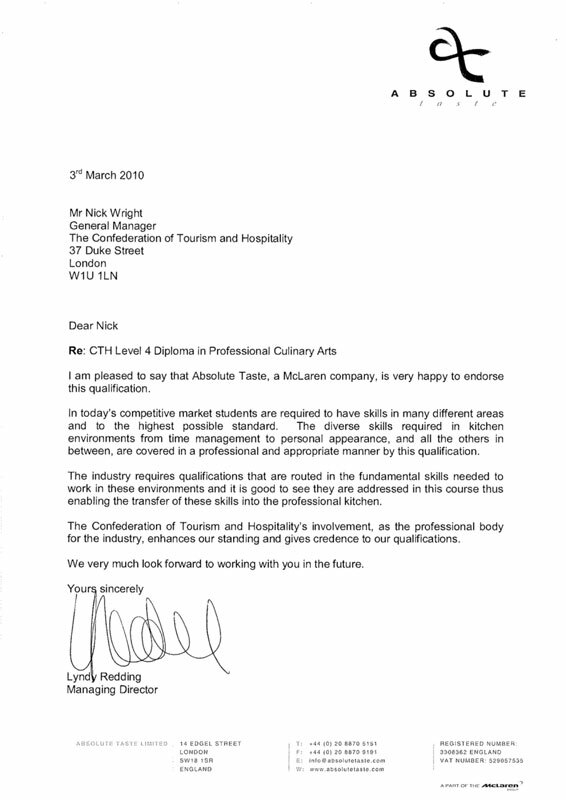 Staff delivering and assessing the Diploma in Professional Culinary Arts should be fully familiar with current practice standards in the sector and have experience of cooking at the very highest level. A teaching qualification and experience of teaching is also desirable. CTH will require to see the CV’s of all teaching staff when the centre seeks approval to run the qualification. Students will be required to wear suitable protective clothing during all practical sessions throughout the course to meet the requirements of the Food Safety Act 1990. Chef’s whites, headwear and safety shoes would be the preferred option. Knives will be an essential requirement of the course and provision of a personal set will be necessary. These could be made available through the college to ensure suitability. 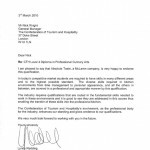 "Our professional qualification is designed in consultation with some of the industry's leading chefs. Throughout this qualification, students will learn the skills and knowledge required to cook in a professional kitchen environment, and gain the keys to a successful career in the industry"